Huawei MediaPad T3 8.0 Case - KingTo PU Leather Smart Case With Card Slots For Huawei MediaPad T3 8.0 Inch (Gray) by KingTo at The Net Stores Network. Hurry! Limited time offer. Offer valid only while supplies last. Compatibility: ◆This Infiland case specially designed for Huawei Mediapad T3 8.0 inch Only. Not compatible with other model Huawei device. 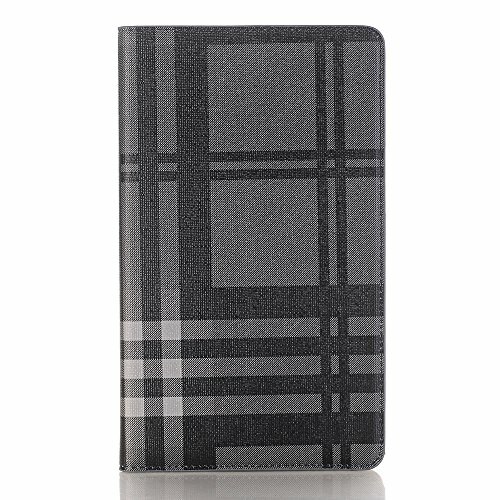 ◆This Infiland case specially designed for Huawei Mediapad T3 8.0 inch Only. Not compatible with other model Huawei device. ◆Premium quality soft PU leather provides all-round protection. ◆Microphone, camera, speaker, brightness sensor and all ports are accessible. Ultra-Thin Protective PU Leather Stand Case for Huawei MediaPad T3 8.0",Not compatible with Huawei MediaPad T3 8.0 or other model Huawei device. The stand function offers an excellent angle for comfortable viewing or swiping screen. Protect your tablet PC from everyday bumps, scratches, dust and fingerprints. This case offers full in case functionality and access to all buttons and ports including headphones, volume, mute.